This listing is for the 24" Latin Style Machete Plus with a black baked on anti rust finish. 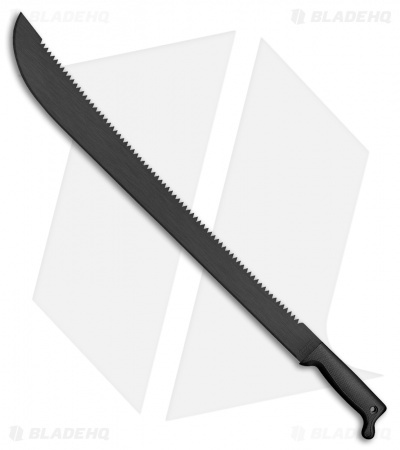 Cold Steel offers their classically styled Latin Machetes in a variety of blade sizes. Each model features a non-slip, strong polypropylene handle and 1055 high carbon steel blade construction with a protective black coating. These knives deliver extreme cutting potential. Just what you'd expect from Cold Steel.